Calling all college football fans, you are not going to want to miss this upcoming game in Los Angeles. If you love a good rivalry game, get tickets for the University of Southern California game against the University of California Los Angeles. These cross-town rivals will go head to head on Saturday, November 19th at the Rose Bowl in Pasadena, California. Don’t miss out on what will surely be an exciting game! 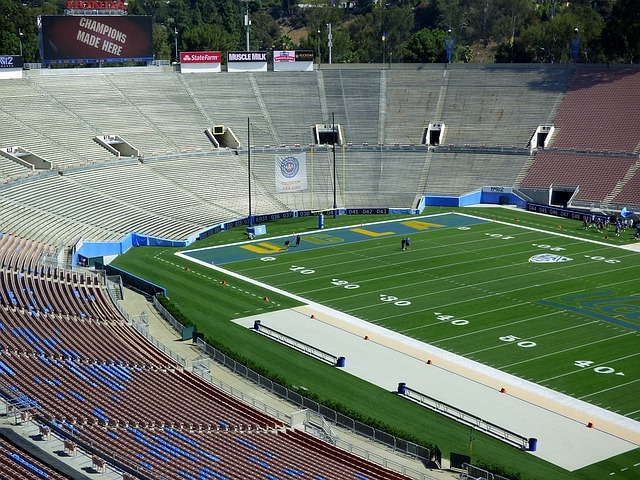 Tickets are now on sale for the USC vs. UCLA game at the Rose Bowl so get yours today! The USC Trojans currently have six wins this season while the UCLA Bruins only have three wins. Regardless, this rivalry has been going on for decades. What makes this rivalry unique is that not only are these universities in the same state, they are also located in the same city. The University of California Los Angeles belongs to the larger University of California public university system, which includes ten campuses throughout the state of California. The University of Southern California, however, is a private research university that is not a part of the larger University of California public university system. The two schools are also relatively close to one another, and both schools are well ranked in both academics and sports. Due to both school’s prestigious ranking, a natural rivalry was inevitable. If you are interested in attending this cross-town rival game, be sure to wear the appropriate colors. If you are rooting for the USC Trojans, wear red or gold. If you are rooting for the UCLA Bruins, be sure to wear blue or white. Tickets to the USC vs. UCLA football game are available for purchase through Ticketmaster outlets. Tickets start at only $100. The Rosebowl is located at 1001 Rose Bowl Drive in Pasadena. Book your stay at the LAAC Hotel today! Be a part of history as this crosstown rivalry game unfolds on Saturday, November 19th!